Interested in joining a worthwhile organization and helping to change the lives of those in the community that need help? Take the step and fill out a membership application today! New members always needed. Now you ask yourself, am I really cut out to ride a fire engine or an ambulance? Well, not all of our members actively participate in the emergency side of the fire company. Some of our members participate in other ways, such as administrative tasks, fundraising, making food, cleaning and the list goes on and on. All of our members have there own unique functions and responsibilities. WHAT IS A VOLUNTEER FIRE COMPANY? It’s neighbor helping neighbor during an a emergency in the spirit that built America and made it great. It’s a proud tradition that is worth preserving in the community of McAdoo. It’s 45 volunteers giving up time from business, home and family to continually train in order to render professional and caring emergency service – often at night, in bad weather, and at personal risk. A volunteer firefighter or EMS provider is a person committed to their company and the community they serve. They are willing to be on call twenty-four hours a day, seven days a week. They leave their businesses or places of employment during work hours to answer an alarm. They give up their favorite television shows, postpone household projects, and sacrifice time with loved ones and family. They have genuine concern for their neighbor and respond without hesitation when called. They are professional, highly trained people who dedicate many long hours to continuing education and progressive training. They are lawyers, doctors, dentists, laborers, paid firefighters, police officers, nurses, homemakers, emergency dispatchers, secretaries, business owners and retirees. They are your next door neighbor or the person standing next to you in line at the checkout counter. Most of all they are ordinary people who volunteer to do an extraordinary job for self and community. The McAdoo Fire Company Junior Firefigters are an important part of our organization. The junior program consists of young adults between the ages of 14 and 18 who assist the fire company on all incidents. This means that training and drills for them is just as mandatory and important. The program builds character and confidence in these young adults and hopefully gives them a sense of commitment and responsibility to our community. Please contact us if you are interested in joining this worthwhile program, call the station at 929-2042 or stop by. If you would like to become a volunteer Firefighter or EMT please contact our station at 929-2042. 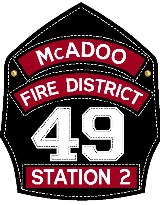 McAdoo Fire & EMS is a volunteer organization in service since 1921. 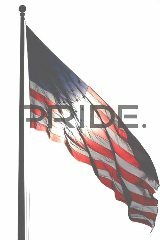 Copyright © 2016 McAdoo Fire Company Inc. All Rights Reserved.